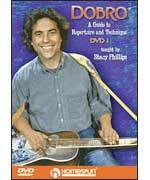 Take a dobro lesson from the comfort of your home with a dobro lesson DVD from Lakes Music. 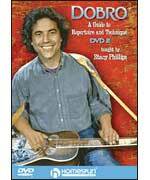 A DVD is a great way to take a dobro lesson because you can rewind and replay sections, unlike with an instructor. Many DVD's use split screen so you can see a close up of the right and left bar hand. 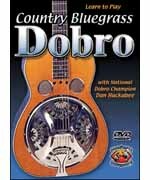 Taking a dobro lesson on DVD costs much less that lessons a dobro instructor and you can view it several times over. 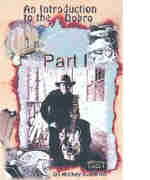 Mark Panfil and Murphy have come up with the most down-to-earth Dobro video on the market. Murphy joins Mark with her guitar during each lesson. No Tab. (1 hour, 56 minutes) Download now from PlayBetterBluegrass.com ! 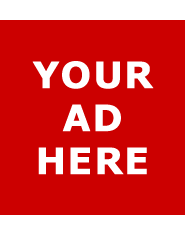 Take a private lesson with Doug Cox! There's no better way to start from scratch on this expressive instrument than with this master instructor. 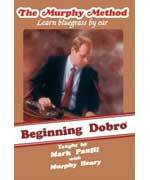 Includes a transcription booklet. 60 min. Stacy Phillips moves into more advanced territory as he discusses drones, scale patterns, and other techniques, now with an emphasis on using bar slants and string pulls to create more complex chords and effects. Songs: Cherokee Shuffle, Bill Cheathem, Last Rose of Autumn. Includes tab. Intermediate level. 75 minutes. 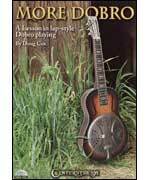 Download now from PlayBetterBluegrass.com! DVD One: This lesson in resonator guitar will have intermediate-level players picking better than they ever dreamed they could! 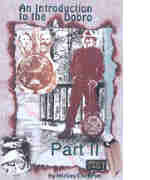 DVD Two: Stacy moves into more advanced territory as he discusses drones, scale patterns, and other techniques, now with an emphasis on using bar slants and string pulls to create more complex chords and effects. 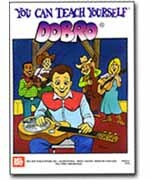 Download now from PlayBetterBluegrass.com! 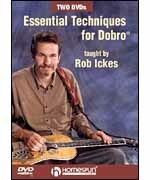 Modern Dobro styles demand powerful and accurate right-hand technique. 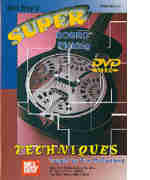 This DVD teaches the basic rolls, picking patterns and special techniques that every resonator guitarist should know. 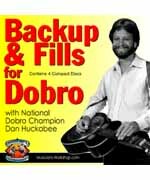 Download now from PlayBetterBluegrass.com!